Are you ready to let her go? Here is a girl who makes me smile. Here is an Idol who brings me joy and laughter, a girl who can truly do no wrong in my eyes. For me, Suzuki Kanon is amazing, and whilst she is not my favourite Idol, there is still something there that allows me to feel so strongly about her, and to feel such heartache when it dawns on me again and again that she will be graduating from this grand world of Idols and entertainment. For these past five years I have been her fan, and now she will be turning her back on this world I enjoy so much, and she will instead be paving her own future from here on out, ready to deliver her smile in a new way, and to bring happiness to those who need it the most. I love Zukki. I have loved her since her debut. Though she was initially my least favourite of the 9th generation candidates during her audition, she quickly became the girl I adored right next to Ikuta Erina. What won me over was her cheer and attitude, and how she auditioned for the group with a comedy sketch and a song. 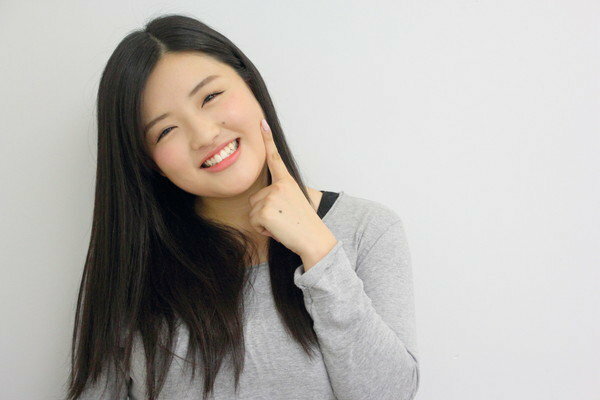 This girl went into the audition with the intention of making people smile, and through that desire and her amazing personality, she was chosen as a finalist and, before we knew it, a 9th generation member of Morning Musume. It wasn't just her personality that stood out, however; her smile shined, her cheerful exposition was apparent, and her voice was big and bold and, at the time, one of the nicest in her generation. She was basically an all-around Idol, a girl who was confident and happy, playful and sweet. She was the sort of Idol I looked up to, and someone I wanted to like. She was everything I desired in the Idol world, and for me, Suzuki Kanon was pretty much perfect. Being a fan of Suzuki Kanon was pretty hard, though. 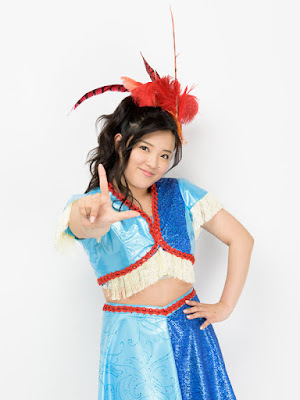 As someone who tends to lean towards the underdogs and background members, it was kind of expected, however I went through a lot of heartache being Zukki's fan, mostly because of how others spoke of her, and their cruel words. For a good chunk of my fandom, I have been biting back or trying to ignore the cruel words people have said, all because they didn't like Zukki or her weight. It got harder when, between the years 2012 and 2015, Zukki herself didn't seem as happy or bright as she once was. It was evident that she was having a difficult time, and a lot of the fans saw it in her smile that it wasn't true happiness she was exuding. Sure, there were times where she did shine brightly and stood out, however a good chunk of her time as an Idol was spent with this reserved aura that surrounded her, and I do believe it saddened a lot of her fans. We wanted the Zukki we loved back. No one liked seeing her so sad, and even though I never took part in it, a lot of fans went the extra mile to bring that smile of hers back by sending her a scrapbook from all around the world filled to the brim with love and kindness for the girl we adore so much. If anyone ever thought that Zukki was unloved, then they are indeed wrong, because despite her lack of recognition in Japan, she is one of the most loved Idols in Hello! Project for the Western fandom. I think that what is amazing about Suzuki Kanon is that despite all this backlash she had regarding her weight, she never once backed down. She didn't up and graduate when news reporters posted unflattering images of her or stop doing what she had started because she was pushed to the back. She carried on and worked hard to get recognised, and though it took another diet and some weight loss to get to that point, she did do it, and we saw all her efforts come to fruition in Oh my wish!, where she finally centered and carried a song. As an Idol she has made us smile, and she has shined in her own way that no one else could. She has worked her hardest from day one, always delivering to her fans and spectators a beam so bright it could light the world. She has laughed and cried, sang and danced and blown us away with her wonderful personality and admirable efforts. She is someone to love and adore, enjoy and appreciate to the fullest, and whilst I don't want to see her go, I know that I have to soon, because that is what she wants for herself. Thing is, she's not leaving for herself, is she? Zukki is, and always has been, a person who wants to see others smile, and to bring them her own brand of happiness in any way she can. As an Idol she experienced a form of happiness that she could bring only by helping out those in need, and it is that form of joy she wants to continue giving now that she is graduating the Idol industry, and honestly, I have to say knowing that this is what she wants to do after her graduating truly makes me proud to be her fan, because Zukki is not only beautiful, but she is kind and selfless, too, and she wants to continue giving to and helping those around her as much as she can, whether it is as an Idol or a normal girl. As an Idol she made me smile and gave me joy. She was my first 9th generation love, and the Idol I wanted to love for an eternity. 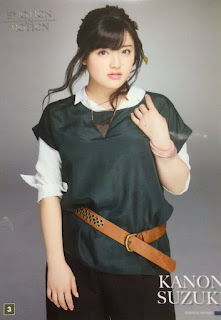 She was one of the first new girls to enter the Morning Musume I knew, and the first one I adored. Suzuki Kanon means so much to me, and my words here cannot express how I truly feel about her, but know this; she is a great Idol, and for these past five years, she has had me laughing, crying, cheering and fighting for her. If that isn't the love of a fan, then I don't know what is. For so long she was pushed to the back and left to falter, however that light and smile never died, because Zukki is the kind of girl who wants to deliver happiness, and to see the smiles of her fans wherever they may be. That is the kind of Idol I love, and that is the Idol I fell for so long ago. No matter what her status, no matter what her weight, she was an Idol we adored to the very core, and one we appreciated with all our hearts. 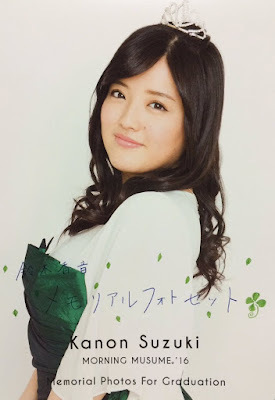 For many fans out there who cheered on Suzuki Kanon from the sidelines, she was their greatest Idol who caught not only their hearts, but also their smiles, and we will forever keep her ingrained in our memories, and appreciate the pure joy she was for years to come. From a 12 year old girl who aimed to bring joy to those who watched her perform and heard her groups songs, to a 17 year old who dreams of making people happy by aiding them any way she can, Suzuki Kanon has grown as both an Idol and a person. She has always known what she wants, and strives to achieve the goals she sets in order to bring her own unique brand of cheer to the world. For her future endeavor, I wish her only the best and hope that she lives her dream, bringing those who need her most the smiles and joy they deserve. I know she can do it, and I'm sure every one of her fans is pushing her forward with their love and encouragement towards this bright, helpful future Suzuki Kanon is preparing for herself. It seems like she only came into my life yesterday, and it's all too soon that she will be leaving my life as an Idol lover, however I do believe she will return one day, whether it's in a group photograph or an event appearance, because I am confident that Zukki won't disappear. It's what I want, it's what I hope, it's what I pray for, because I don't want her to leave my life like other Idols have. She's too important to me, and I never want her smile to fade away for both myself, and all her other fans. I am happy for her, though, and I am glad to see her taking on such an admirable path for her future career. I just hope that she returns to us in the future, and shows us a smile that has become even brighter and a girl that is even stronger and more brilliant than the one standing before us today. This is the Suzuki Kanon I love, and from now until her Graduation day, I will love her with all my might and smile as much as I can, even through the tears I will undoubtedly shed, because when I smile, I will think of Zukki and how wonderful she has been these past five years and the great surge of happiness she has brought me as an Idol fan. Saying goodbye to you will be one of the hardest things for me as an Idol fan yet, but thank you Zukki. Thank you for five years of hard work. Thank you for your booming voice, your shining personality and your neve-ending smile that brightened my world. Thank you for becoming the Idol I adored all those years ago, and for never giving in. You are my joy, my light, my inspiration, and I love you. Thank you so much for being a part of my world! Suzuki Kanon, Stosugyou Omedetou! Thank you for this everlasting smile, and for bringing joy to our hearts! Our love for you shall never end! Your smile was my Sun, so thank you for rising and shining upon this world.